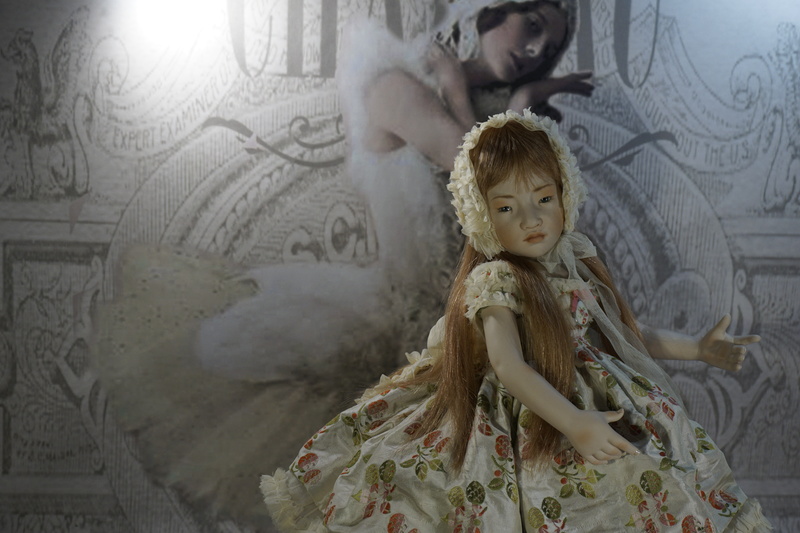 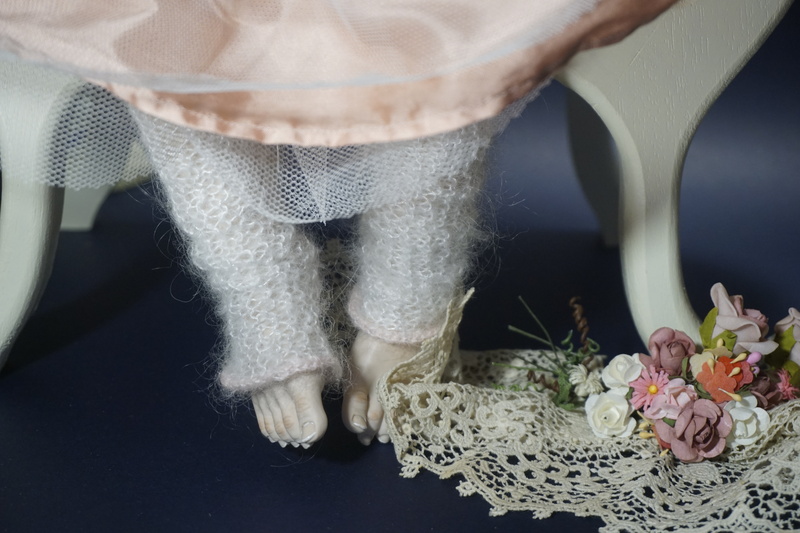 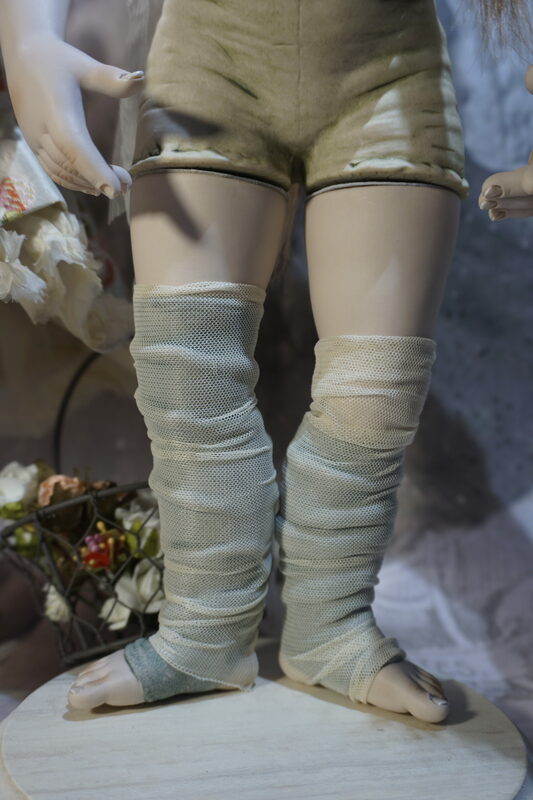 All-bisque jointed body “ballerina” doll, one-of-a-kind, 43 cm high. 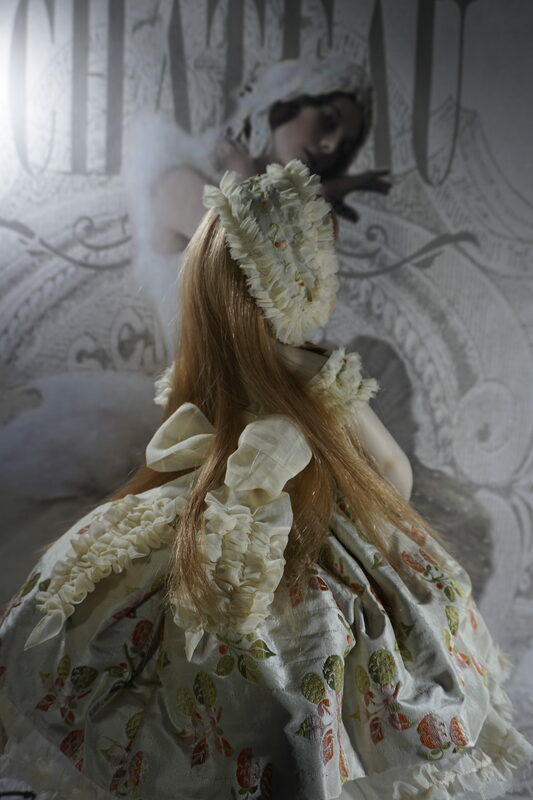 Her pure silk dress is hand-made and embroidered by Beatrice. German glass blown eyes and french human hair wig. 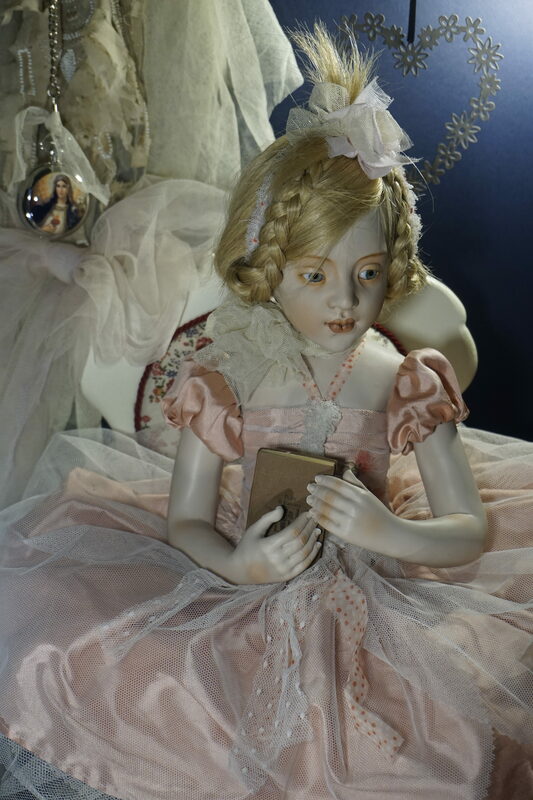 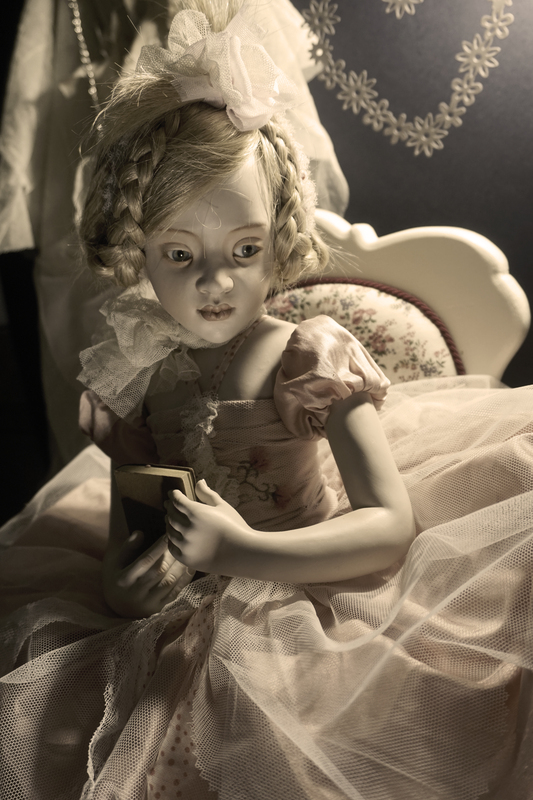 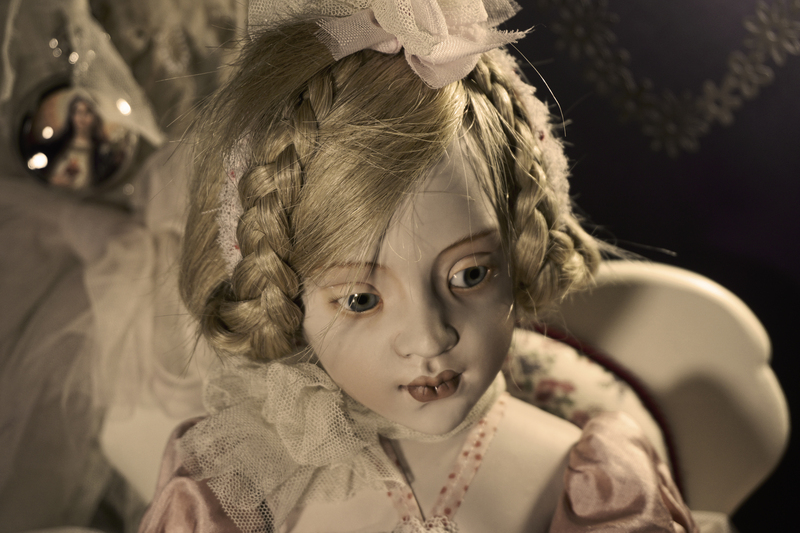 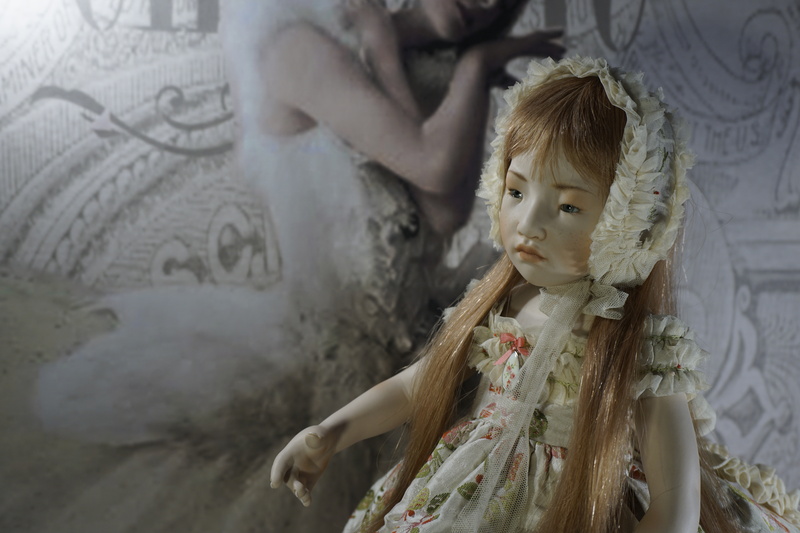 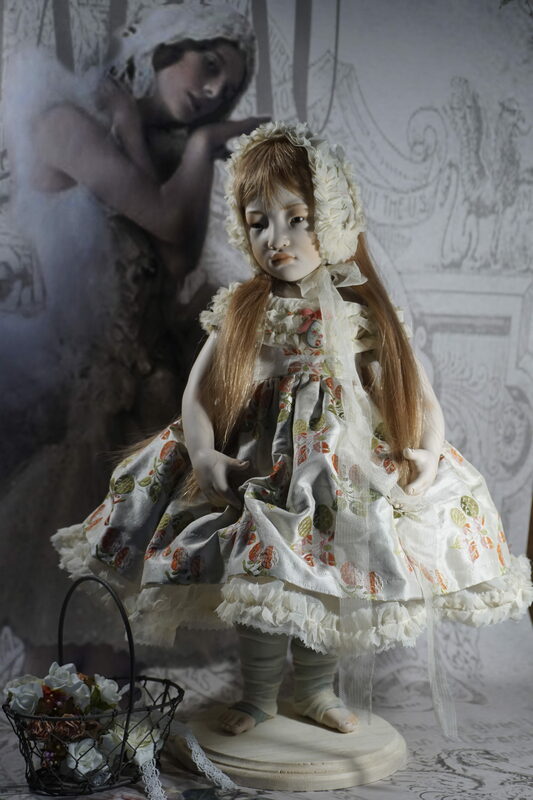 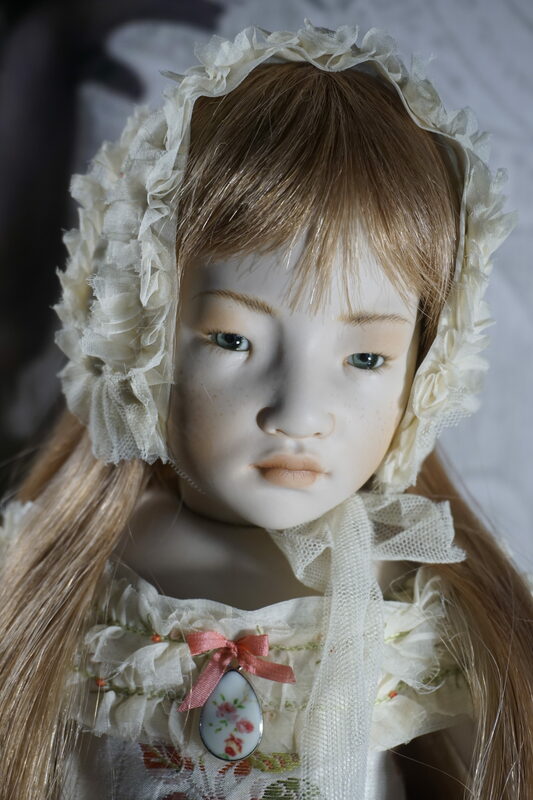 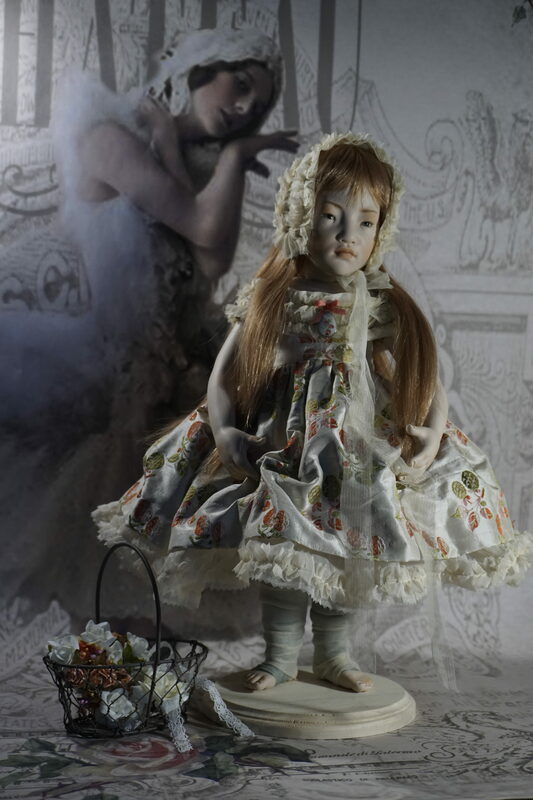 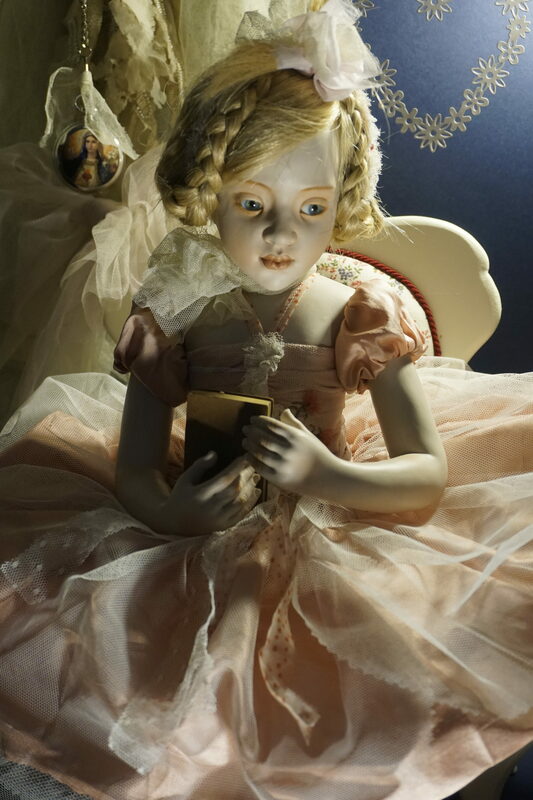 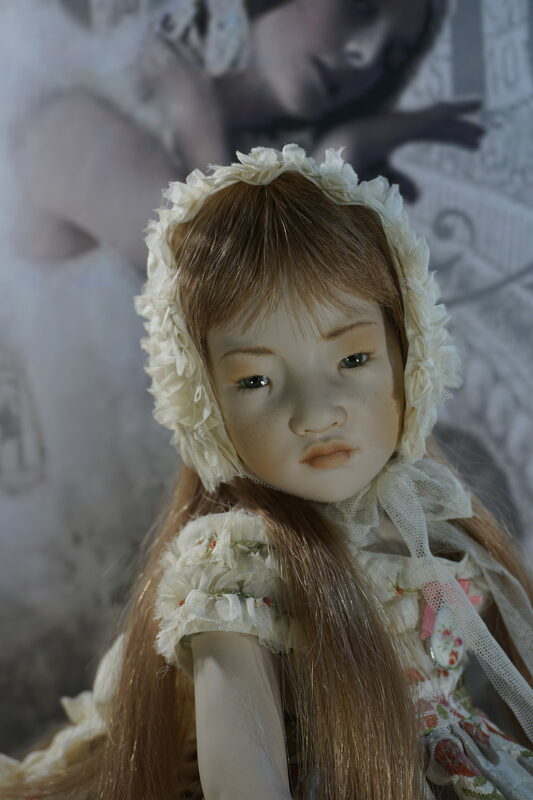 New prototype of a all-bisque jointed doll, one-of-a-kind, 47 cm high, seated. 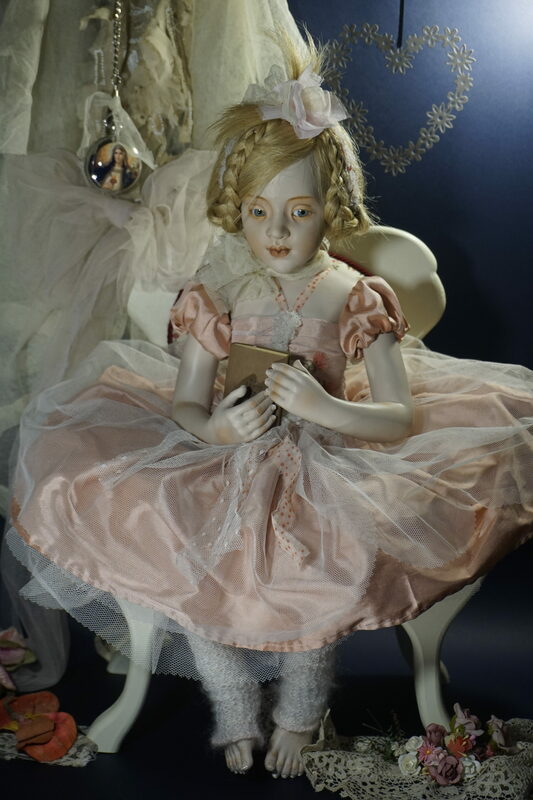 She is seated in a beautiful hand-made wooden armchair made for her.